Tested Yakketys daily iso on my PowerMac G5, 7,3. This is a dual-cpu machine but 3 cpus are shown (see screenshot). The superfluous cpu always shows 0 % activity. Seems to be a general problem as on my PowerBook 5,6 two CPUs are shown instead of one. Seems a PPC-specific problem. My amd64 box does not get hit by this bug. 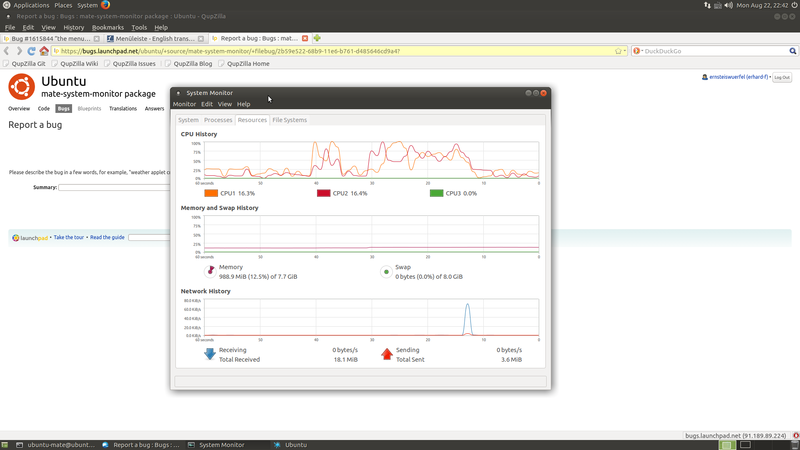 Functionality works flawlessly in MATE 12.1 (Xenial daily iso), mate-system-monitor shows the correct number of CPUs. Bug must have been introduced afterwards. Will mark as 'fix commited' as the fix will be in the next stable upstream release.